Let's take a look at the Files management. Files can be ordered by simple drag and drop method. Deleting Single File can be done via X icon on the File Card. Deleting Multiple files can be done by Selecting Files by clicking on Check icon and then using the Action button Delete Selected Files. Then Confirm the action in Modal Window. 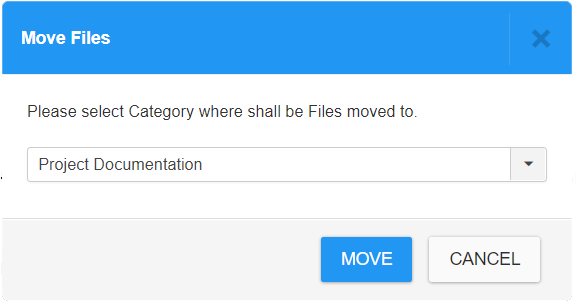 Select the Category where you want to Move selected Files and Confirm the Action. Assigning an Access Level to Files can be done in bulk. 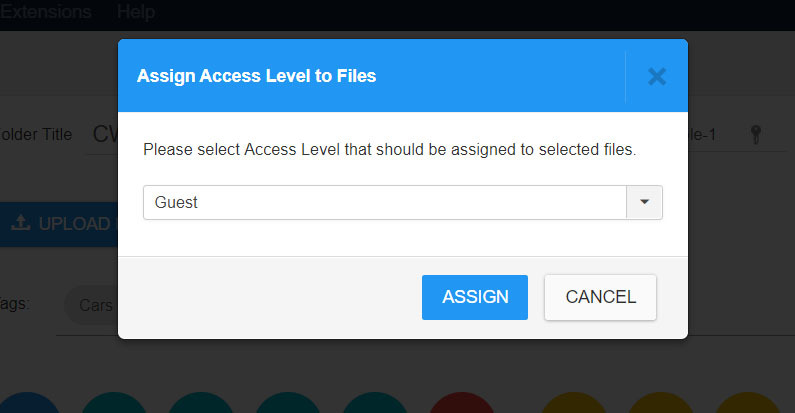 Select Files and use an Action Button to set an Access Level. Files assigned to a specific Access Level will be displayed only for users with required permissions. assigning a Language to Files can be done in bulk. Select Files and use an Action Button to set a Language. Files assigned to a specific Language will be displayed only for this language mutation on frontend.